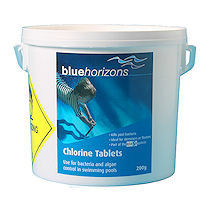 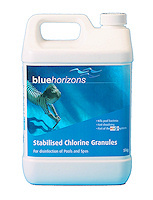 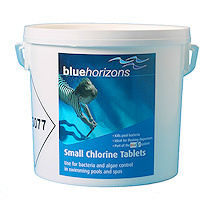 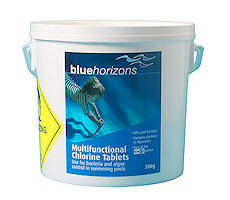 Blue Horizons Stabilised Chlorine Granules - The granules have a pH value of about 6.0 - 7.0, which is fairly close to the ideal pool water pH level and so will have little effect on the pH level of your pool water. 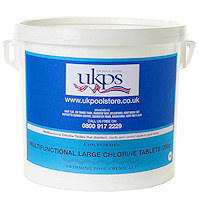 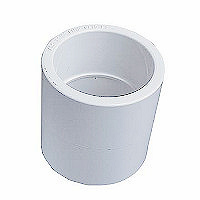 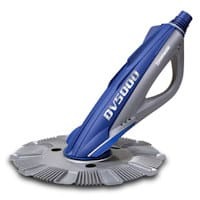 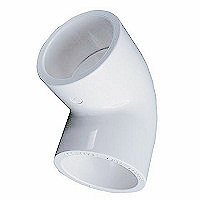 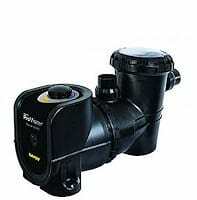 A traditional, granular chlorine donor that is still popular with many pool owners that like dose rate flexibility. 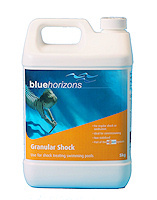 These granules are rapid dissolving making prep-dissolving and application easy. 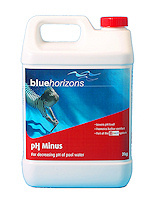 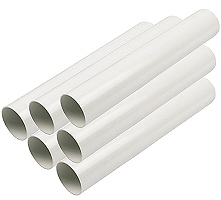 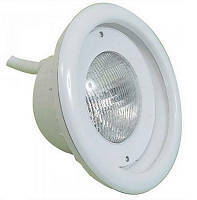 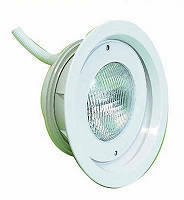 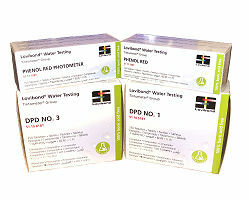 The granules have a pH value of about 6.0 - 7.0, which is fairly close to the ideal pool water pH level and so will have little effect on the pH level of your pool water. 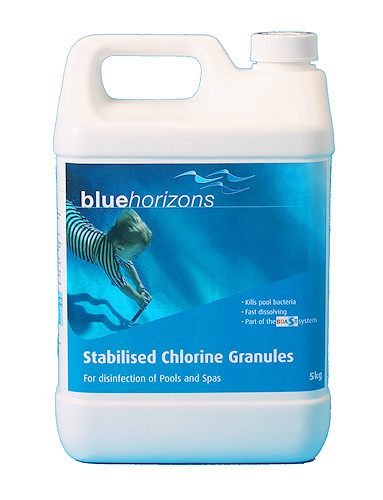 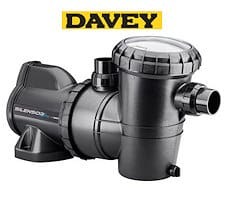 stabiliser), this can be beneficial for outdoor pools as it reduces the amount of chlorine lost to sunlight - making it easier for you to maintain the correct chlorine level in your pool.